The process of filing a personal injury lawsuit can be draining. Not only do you have to recover from injuries and focus on putting your life back together, but navigating the legal system can be quite the challenge alone. And depending on the accident’s severity and your share of the blame, the damages you actually recover may not line up with expectations. To anticipate what goes into filing a personal injury claim in Washington, continue below and familiarize yourself with specific laws in the state. In the state of Washington, the statute of limitations for personal injury claims is three years. This means that a plaintiff has exactly three years from the date of an accident, sustaining an injury, or a wrongful death to file a case. There are exceptions in limited circumstances, but a case will almost certainly be dismissed if filed after the time period has passed. Conversely, punitive damages, also known as exemplary damages, are intended to make an example out of the defendant as to defer them or others from engaging in the same behavior in the future. However, in Washington, punitive damages are not allowed in civil cases, thus making it a less attractive place for major tort damage litigation. Many states limit the amount of compensation one can receive in certain types of personal injury claims. For example, most states have a cap on non-economic damages for medical malpractice claims, generally in the realm of $250,000 or $500,000. However, Washington courts have held that these damage caps are unconstitutional and there are no limits in the state. The term comparative negligence is used when all parties involved in an accident or injury share a portion of the blame. This method is used to make litigation fairer, as most accidents are rarely the responsibility of solely one party. Washington uses a specific type of comparative negligence called “pure” comparative negligence. This means that a damaged party is able to recover even if it is 99 percent at fault. Their recovery, however, will be reduced by their share of the total fault. Using the 99 percent at fault example, that party would only be able to recover 1 percent of the total damages. Other states use a stricter, modified version of comparative fault which bars a party from recovering any costs if they are deemed responsible for a majority of the fault, 51% or more. Washington is like most states in that it uses “fault” car insurance. In a “fault based” system insurance companies will conduct their own investigations and if they cannot come to an agreement on the proper share of fault, then a suit with a Washington car accident lawyer may have to be filed to determine the proportion. Washington has a “one bite” rule for dogs. Regardless of an animal’s past bad behavior, or lack thereof, the owner is responsible for any damage caused. Some states protect dog owners from first time offenses, with penalties that get more severe which each offense, but Washington makes owners strictly liable. 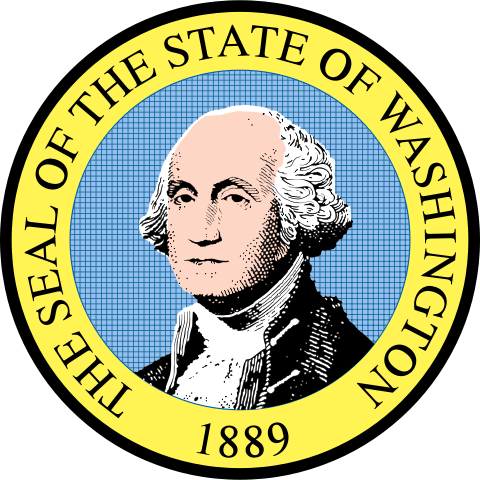 District Courts in Washington have a small claims division that can settle civil disputes that total less than $5,000. Unless a judge grants special permission, attorneys and paralegals are not allowed to appear on behalf of a plaintiff or defendant. The majority of personal injury lawyers operate under contingency fee agreements, which generally hover between 30 and 40 percent. When using this type of fee agreement, the plaintiff is not responsible for the cost of litigation until the case is either settled or won in court. Sometimes the plaintiff will be asked to front a nominal portion of costs, such as filing fees, prior to the resolution of the case. If you have any further questions about filing a case the state of Washington, reach out to a personal injury lawyer in Vancouver or contact us at i-lawsuit today.